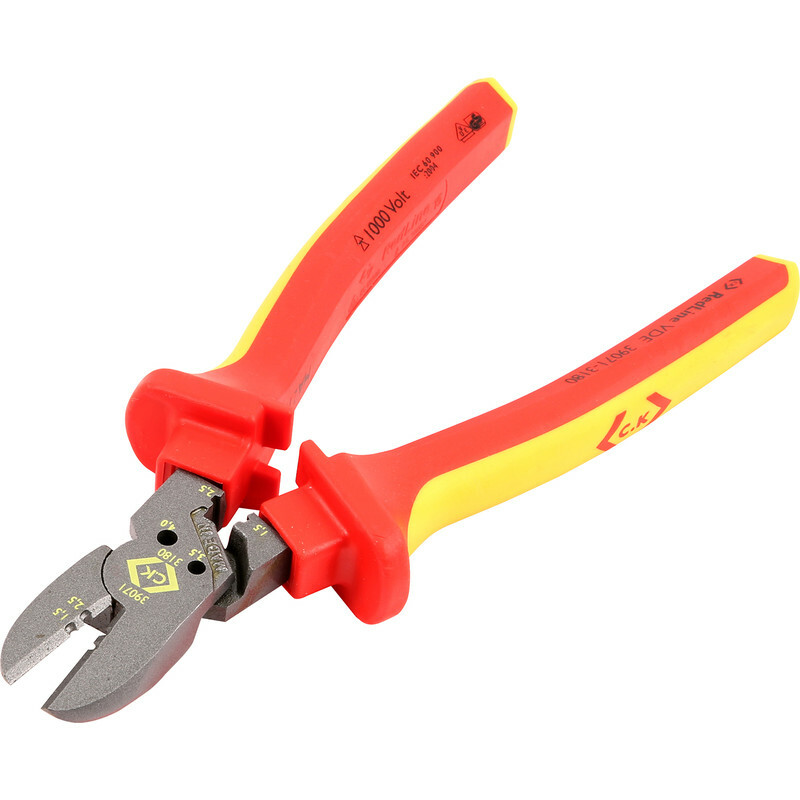 Premium VDE heavy duty cutter pliers. 64343 will cut 3.5mm pattress screws and 60391 up to 4.5mm. Certified to VDE 0682/201:2005 01 and IEC 60900:2004. GS approved. DIN ISO 5749. VDE certified and individually tested to 10,000V for complete safety when working on live equipment up to 1000V. Drop forged chrome vanadium steel for strength and durability. Induction hardened and precision ground cutting edges for unsurpassed cutting performance. 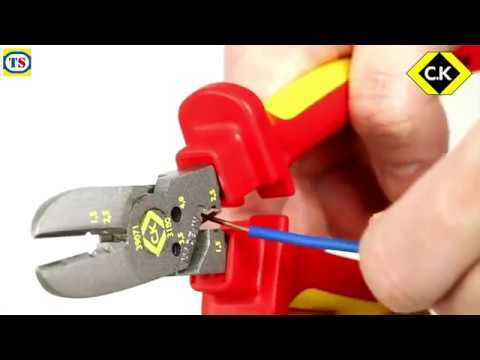 Wire stripping notches for effortless and damage free stripping of 1.5 and 2.5mm2 wire. Wire bending anvil for quick and damage free doubling back of copper wire. Patress screw shear for damage free cutting of 3.5 and 4mm screws. Ergonomic dual component handles offering the perfect balance of grip and comfort. Certified to VDE 0682/201:2005 01 & IEC 60900:2004. GS approved. DIN ISO 5749. C.K Redline VDE Combicutter Combicutter3 Max 180mm is rated 4.5 out of 5 by 2.